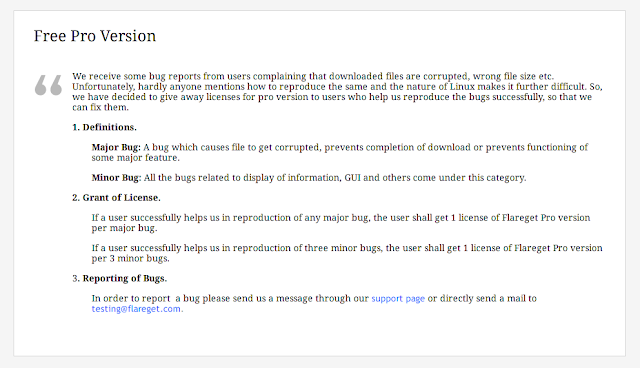 Free Flareget PRO - Flareget is one of best download manager in Linux. Flareget is a multi-threaded download manager and accelerator for Windows, Mac and Linux. It supports Windows XP/Vista/7/8, Mac OS X 10.7+ and almost all 32 and 64 bit Debian, RPM and Pacman based Linux Distributions. Some main features is Dynamic File Segmentation, Resume Support, Intelligent File Management, Multi-Protocol Support, Smart Scheduler, Enhanced Browser Integration, Youtube Grabber, Mirror Support, Clipboard Monitoring. For more details you can read our previous post at How To Install And Integrate Flareget Into Your Browser. Flareget is not totally free application, you should to pay this application to unlock some features. Some features which lock in free version is we only can download 10x in 1 day. 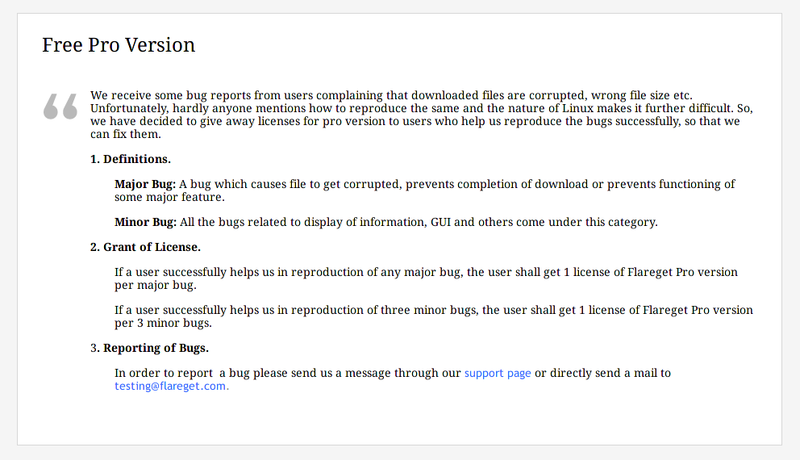 To get Flareget in PRO version you must pay for a license. The price is $19.99 for one license no matter what it's for Windows, Linux or MAC, and $29.99 for combo packet. We can use other download manager in Linux and of course it's free. To get them please read Top 4 Fastest Download Manager IDM Alternative on Linux. So that's all I can write about Get Flareget PRO Lisence For Free. Hope you've enjoyed reading this information as much I’ve enjoyed writing it. Thanks for visiting us!